None, but the board has to be connected to the computer through the serial port or the USB port. The sketch waits for a serial connection in the setup() then prints line by line the ASCII table up to the last printable character. When this is accomplished, it enters an endless loop in a while structure and nothing else happens. 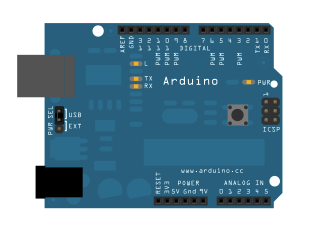 Closing and opening the serial monitor window of the Arduino Software (IDE) should reset the board and restart the sketch. // prints value unaltered, i.e. the raw binary version of the byte.